It happened. Video game counterparts were created based on successful sitcoms. Haven’t heard of this? Well, no one’s really supposed to talk about it. I’m probably breaking some kind of rule by including a clip of the Home Improvement game for Super Nintendo in this article. We really apologize that this isn’t a joke. But… it happened. We were pretty fortunate that only a few of these shows were ever adapted into lo-bit graphics, such as Gilligan’s Island on NES, ALF for Sega Master System, and M*A*S*H for Atari 2600. Thankful we can only be that more television shows weren’t converted to home gaming consoles. Here’s a look at another six sitcoms that would’ve made terrible video games back in the day. It could have ended up as a basketball tie-in game. 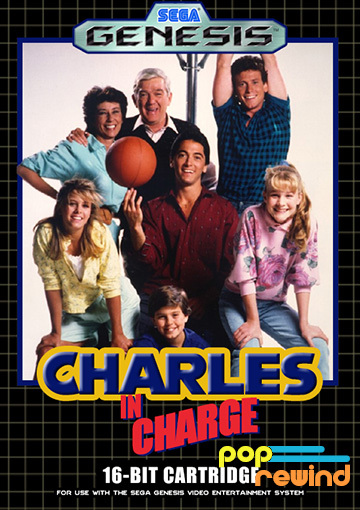 We’re pretty lucky a Charles in Charge game never hit the home market. It probably would have been a launch title for the Sega Genesis; such a disaster of a cartridge could have overshadowed the rising success of the console. Each season would have represented one of the five levels in the game. Inexplicably, the entire supporting characters would be different after the first level. 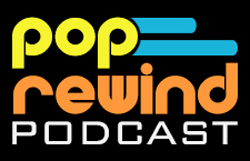 Wait until you see the obligatory special episode stage. 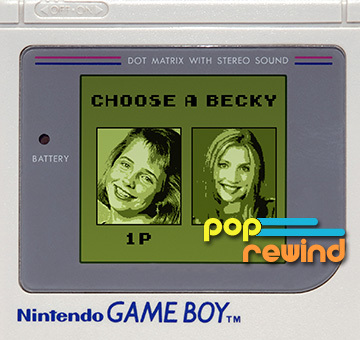 Nothing says robotic child maid like a game for the NES based on the not-so-hit television series Small Wonder. And nothing says an NES game about robots more than a rip-off of the Mega Man series. 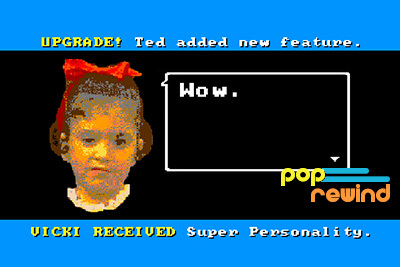 Throughout the game, Vicki would have received upgrades to her computer memory, while battling nosy neighbors along the way. Batteries wouldn’t last long enough to win this game. Roseanne would have played out like one of the classic RPGs on Game Boy… only it wouldn’t have been a classic. The main objective would have involved trying to keep the family from having a blowout fight. Unfortunately, that means it would have been one of those games that was impossible to get very far beyond the title screen. A simulation of what the theme may have sounded like on Atari hardware. While the game may not have been a hit, the box art for Atari’s Family Ties would have finally been the ultimate use of the family portrait painting from the hit show’s opening sequence. The dream-like quality of the portrait would have fit nicely on the shelves next to Adventure and Yar’s Revenge. Sometimes you just get a feeling like you need some kind of game. Would there have been any other way to play Perfect Strangers on the SNES than two-player simultaneous action? Well, of course not, don’t be ridiculous! The game would have basically been a recreation of the sitcom’s opening sequence. Watch out for that ledge level! 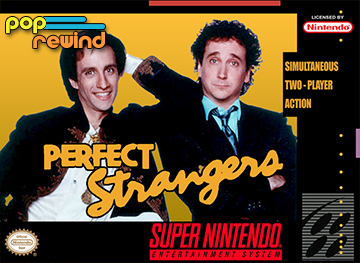 Fun fact: Someone really made a Perfect Strangers web game in 2012. It’s kind of awesome, actually. The opening cut scene starts with an anecdote that doesn’t pay off until the boss stage. Grab the controllers and head to an alternate dimension in which everyone’s favorite fictional teacher Charlie Moore takes the 8-bit challenge, despite his distrust of computers. 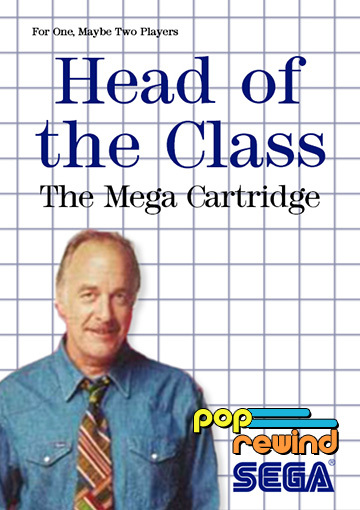 Unfortunately, the Head of the Class game would have been programmed to resemble the TV series a little too much. Each stage would seem exactly the same as the previous stages and you’d be left questioning whether there were plot lines, character development, or jokes involved. Somehow, though, you’d still enjoy its charm for four levels. What say you? Any other sitcoms that would have made lousy video games?